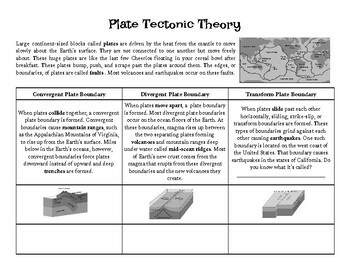 Notes about the Plate Tectonic Theory. Includes fault lines, convergent, divergent, and transform plate boundaries. The notes also include what each boundary forms on the earth and a picture for each.